If you’re virtualization expert (on Microsoft world ) you’re well aware above feature is possible when we implement System Center Virtualization Manager (SCVMM) to manage the HYPER-V cluster. Not every customer can afford to have System Center Datacenter SKU purchase right? Virtual machine load balancing comes in exact time to help you do that without SCVMM. In a nutshell we can monitor the CPU and memory usage on the host an based on the pre-defined rules and allow VMs to move across the HYPER-V nodes in the cluster. VM auto balancing can be configured via GUI and PowerShell both. 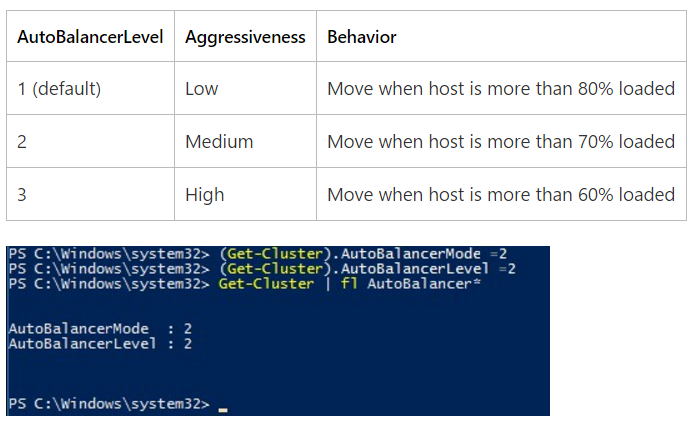 PS: VM autobalancing is enable by default in server 2016. If you use SCVMM 2016 to manage the cluster then this feature will be disabled. ← Are you ready for the next big offer from Microsoft?